The Arizona Technology Council is looking for a marketing manager to help grow its presence in Arizona’s technology and business community. The marketing manager will be responsible for all aspects of marketing and communication on behalf of the Council with a strong emphasis on content creation and content marketing. Manage and oversee over 10 vendors (digital marketing, social media, public relations, content creation, video marketing, graphic design etc.) to execute on marketing assets. Maintain website, including landing pages, forms and updating content. Lead content creation for multiple assets including website, digital newsletter, blog posts, sales enablement tools, etc. Generate marketing qualified leads (MQLs) and measure program ROI. Curate content from partners for social channels, blog and email newsletter. Provide project management and copyediting support on major Arizona Technology Council initiatives such as our annual report, public policy guide, voting guide, etc. 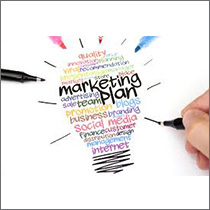 Manage marketing programs including multiple event series and partner program. Identify industry speaking opportunities and manage speechwriting, presentations and assets for speakers’ bureau. Four-year college degree, marketing preferred. Strong understanding of marketing automation software and its use in email nurture campaigns. Proficient with content management systems (CMS); WordPress highly preferred. Expert user of Microsoft Office, social media platforms, Google Analytics and team communication tools. To apply for the Marketing Manager position please send your cover letter and resume to AZTC President + CEO Steven Zylstra at szylstra@aztechcouncil.org.